The Bauer Aerotest Simultan HP allows reliable measuring of the cleanliness of breathing air, critically ensuring diver safety. 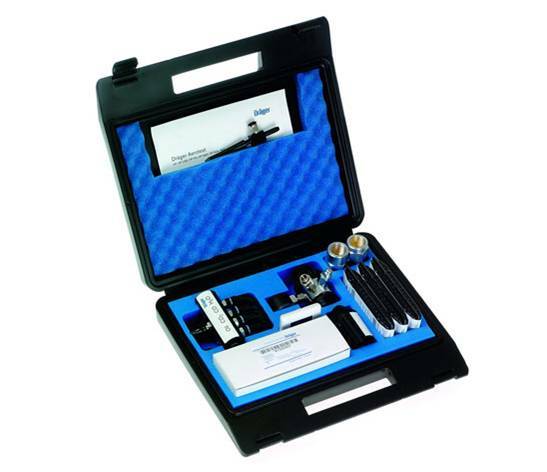 The Aerotest Simultan HP measures CO, CO2, H2O and oil and also detects synthetic oils. Owing to its low weight and compact dimensions, Aerotest simultan HP fits into any baggage and can therefore be comfortably used worldwide as a portable device. It can be used on the compressor or directly on the cylinder and allows quick check on site. The measuring of breaking air is in accordance with DIN EN 12021.